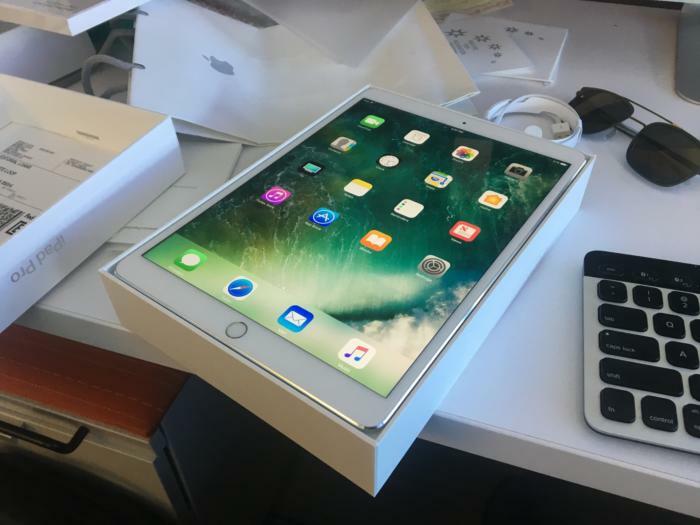 10.5-inch iPad Pro first impressions: If it's not broke, fix it anyway? For someone who was happy with the 9.7-inch model, the new iPad Pro is an indulgence. Apple started shipping the new iPad Pros this week, and we have a lot of questions about the 10.5-inch model. Is it better than previous iPad Pros? Will it replace my MacBook? Did it really need an update? I’ve been taking one for a test drive over the past few days, and here are some of my initial impressions. I’ve been using the previous 9.7-inch iPad Pro for about a year. Since then, I’ve come to the conclusion that it’s the perfect size for a super-portable computer. Apparently, Apple didn’t agree, because for this year’s update to the Lil’ Pro has grown just a lil’ bit. The display is now 10.5 inches, which can accommodate for a full-sized keyboard. The difference in real estate is indiscernible, however, so the 10.5-inch iPad Pro still feels like the perfect size for me. 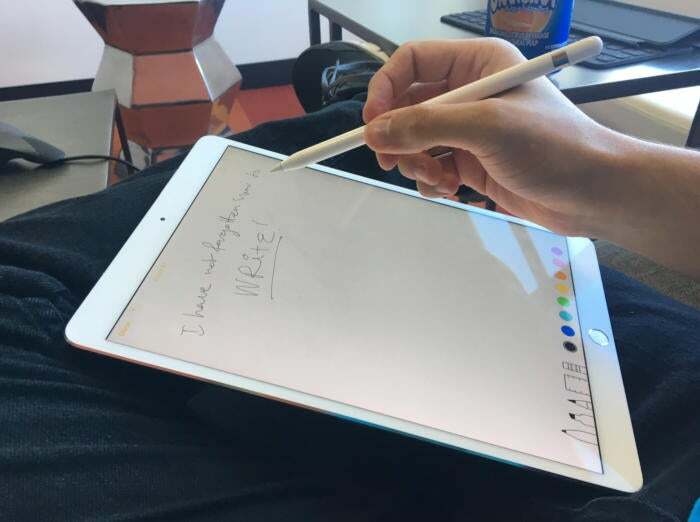 Smart accessories like Apple Pencil are not necessary but nice-to-have for an extra cost. The one thing I did notice after using the new iPad Pro for a day is how responsive it is compared to previous iPads. There’s absolutely zero lag time when scrolling through web articles or taking notes with Apple Pencil. This is a result of a new feature Apple calls ProMotion, which automatically adjusts the refresh rate to up to 120Hz. Previous iPads and most mobile devices have a 60Hz refresh rate. This means that the Pro display can be refreshed twice as quickly to pick up new pixels that show up on the screen. But it’s not as if I was dissatisfied with the former refresh rate of 60Hz. In typical Apple fashion, the new iPad Pro models gave me something I didn’t know I needed. (I’m still not convinced I do). ProMotion doesn’t just speed things up, however—it also adjusts to lower the refresh rate automatically if you are using the iPad Pro in a more static capacity, like watching a movie or reading an ebook. This does wonders when it comes to conserving the iPad Pro’s battery life, which Apple boasts is about 10 hours. I have yet to have to charge my model, which Apple gave to me with about 80 percent battery Tuesday afternoon. Eight hours of use later, I’ve still got 20 percent left, and that includes about half and hour of playing Riptide GP: Renegade. That’s certainly longer than the battery life on my 12-inch MacBook, but it’s comparable to the previous 9.7-inch iPad Pro. The last thing that’s really stood out so far is just how important the smart accessories are to getting the full iPad Pro experience. I have never been able to fully adopt the iPad’s display keyboard, so an external keyboard is a must-have for me. 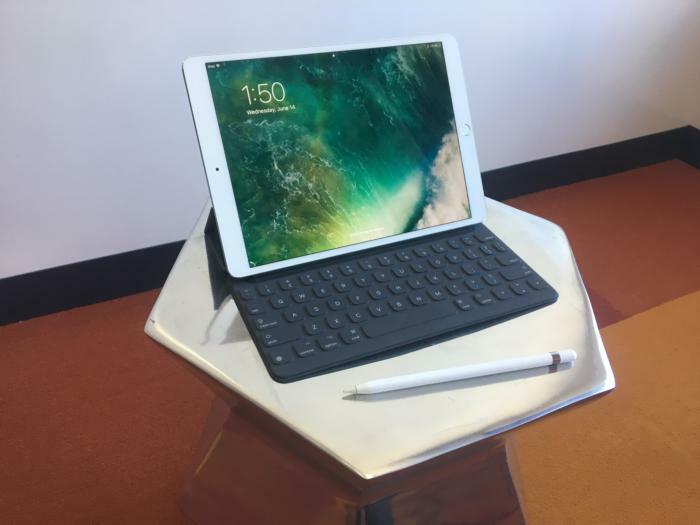 Apple’s own $159 Smart Keyboard feels nice, but it bothers me that there’s no place to store the Apple Pencil. Speaking of the Pencil, which is another $99, I’m not enough of a creative pro to need it with my Pro, but it’s still nice-to-have for using Markup with docs and getting more precise taps. The fact that these accessories are so vital to the iPad Pro experience, however, also adds $$$ to the equation, which is another thing to consider. Overall, for someone who’s been happy using the previous 9.7-inch iPad Pro, these updates seem a little indulgent. However, the necessary improvements may come in the form of those serious software updates in iOS 11. Until then, you could probably give someone a 9.7-inch model and tell them it’s a new 10.5-inch and they wouldn’t be able to tell the difference.